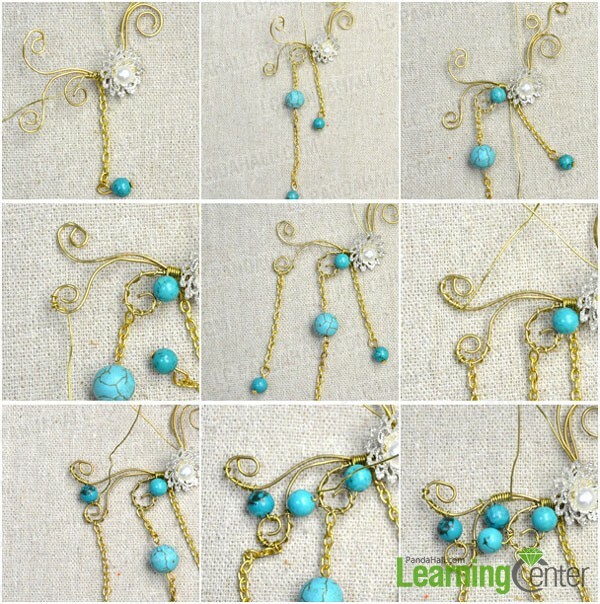 Summary: Learn how to make wire wrapped flower ear cuff earrings with turquoise beads and chains. I’m sure you will be surprised by the jewelry. 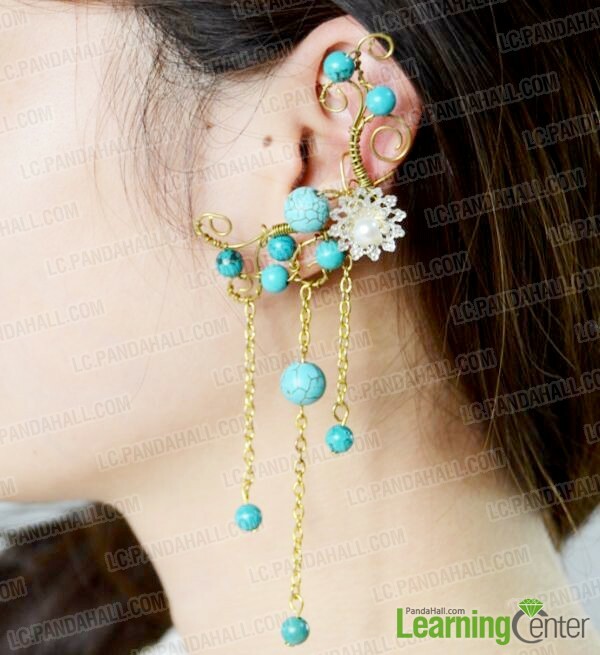 Wire wrapping and beading turquoise beads are involved in the design of wire ear cuff earring. 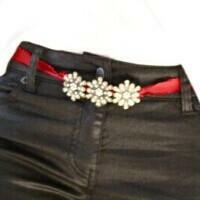 No matter whether you ear have been pierced, you can wear the flower ear cuff earring. 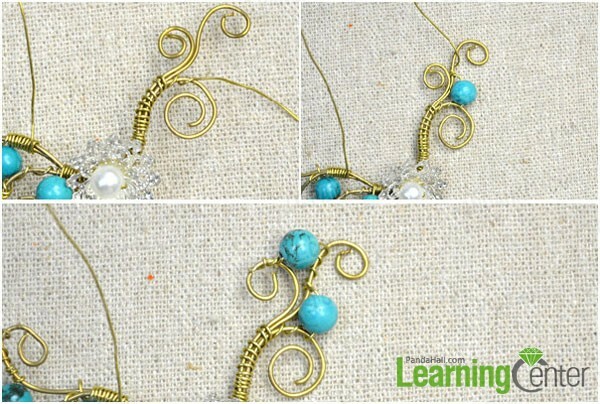 Let’s start the tutorial about making wire wrapped ear cuff earrings and make a beautiful ear cuff earring for you. 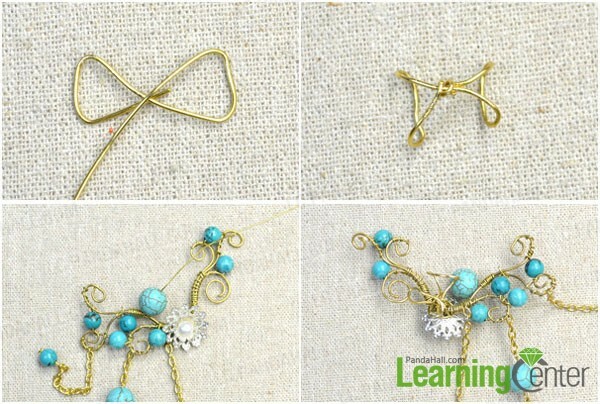 How to make ear cuff earrings? 4th, part the two wires and fix the white flower to the three vines by wire wrapping, be sure that the three vines placed in order as shown. 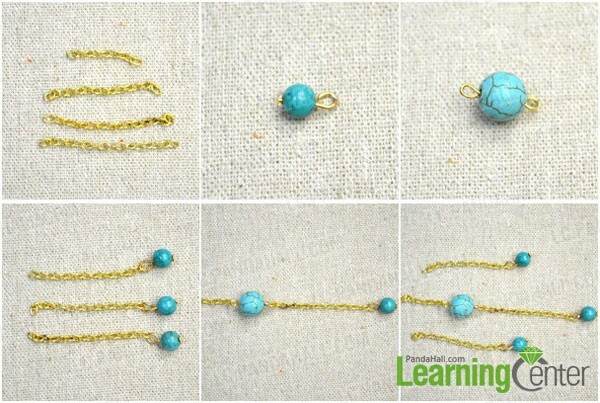 6th, link the 1.5cm chains to one 4cm chains by the 8mm bead finding as picture shows. 7th, repeat the 6th step twice to link the middle and the lowest vines, as well as the lowest vine and other two vines as shown, and finally bind the top and middle vines for 1cm. 3rd, string a small bead again and twine it around the top vine for several circles, finally cut the extra wires. 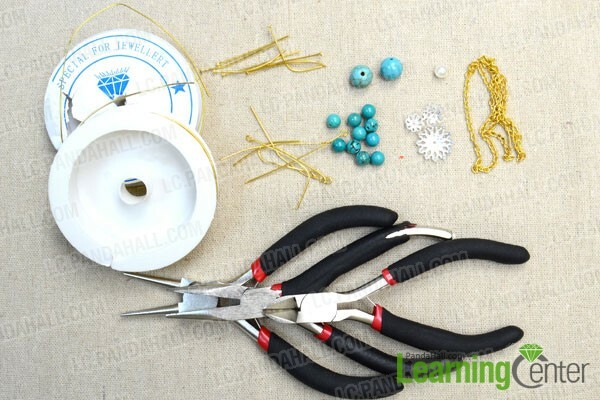 4th, attach the ear cuff to the embellishment through wrapping, and then cut the extra wires. A beautiful flower ear cuff earring has been done. 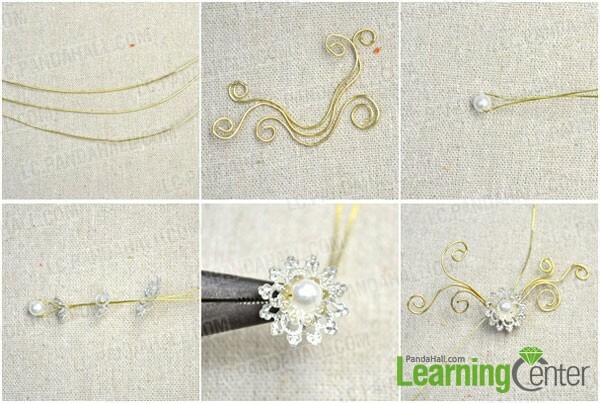 Have you got the methods after reading the tutorial about wire wrapped ear cuff? Have a try and show your designs. Thanks for the great instructions. They are easy to follow. They also give good basic plan for more earcuffs. Thank you again will follow you on pintrest. You're welcome, and thank you for following us. wow ! diz is beautiful ... thanks for the instructions ..